Welcome to the Harbour House CrabSavers Newsletter. Please use promotional code WELCOME10 during checkout to save an additional $10.00 on your first iLoveCrabs.com $50.00 or more in the next 7 days. Please take note or copy the promo code WELCOME10 as you will not be able to return to this page. Promo Code WELCOME10 is valid one time for new online customers only. Save $10 on any order over $50. Not redeemable for cash. This offer may not be used on previous purchases or in with other promotional codes or special discounts. 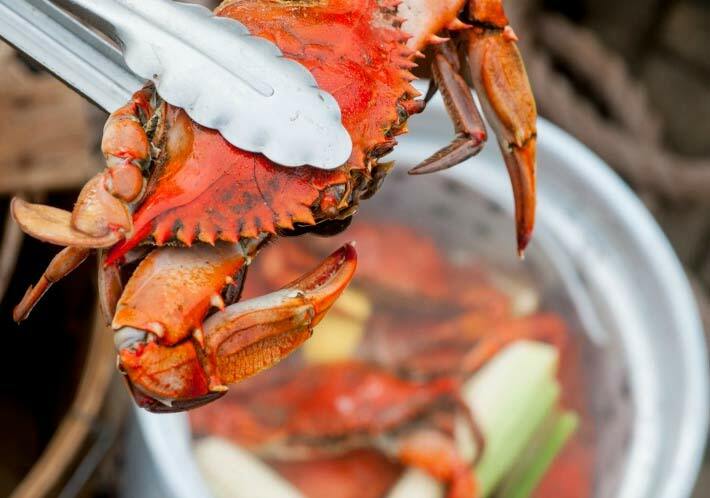 As a CrabSavers Subscriber, through out the year you can look forward to receiving updates from us which will include the latest news as well as exclusive coupons and specials offers on our famous steamed Maryland Blue Crabs and other premium seafood. Thanks again and If you ever have any questions or comments, please feel free to contact us.